We swerved and nearly skidded off the road, but luckily we didn’t hit the tortoise. The car in front of us had also managed to avoid squashing him, or her. We were relieved that the tortoise was safe. But we were scared again when we saw a truck coming along in our rear view mirror. 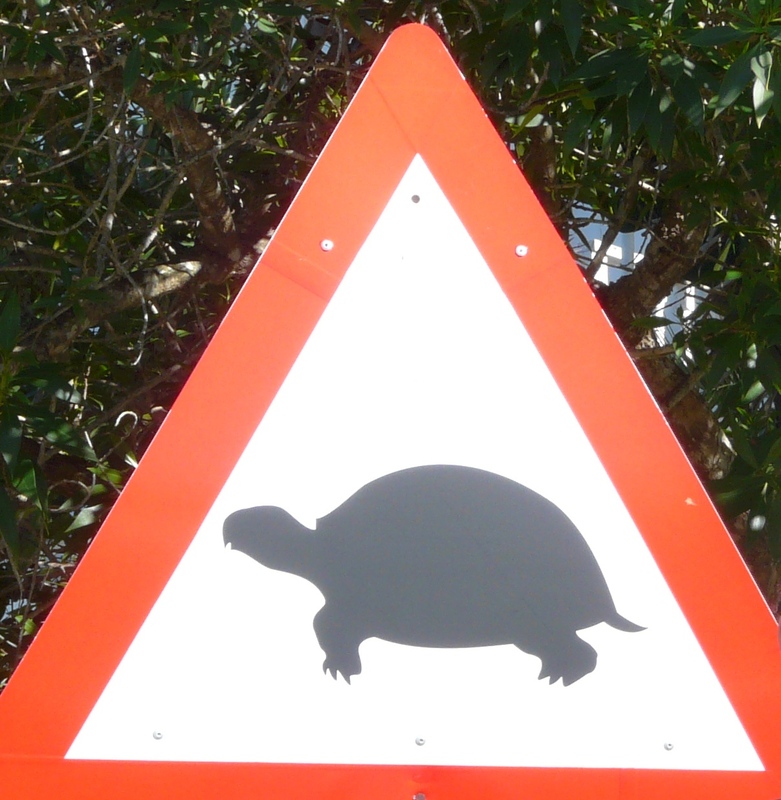 We didn’t think the slow tortoise would make it across the road before the heavy truck came speeding on top of him. Suddenly I cried, big heavy tears, I was sobbing. I said to Michael “it’s not fair that the tortoise has to cross that big road, it’s not fair”. I felt so sad for the trouble he had to go through, just to get through his day. He had to risk his life to get to the next piece of grass. And all because humans need roads and progress. We were driving through his home. I cried a little more before realising I was also crying for myself. I was tired. I had recently had an operation, had travelled by road across South Africa and was on my way to the airport for a long haul flight to Ireland. I was physically exhausted and emotionally raw. To be honest I was feeling pretty sorry for myself. My words “it’s not fair” fit equally for the tortoise as they did for me.